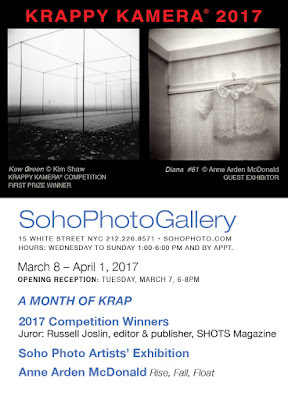 I'm delighted and honored that my photograph, "Evidence of another world," will be included in the Krappy Kamera exhibition at Soho Photo, New York. The exhibition runs from March 8 through April 1, 2017, with an opening reception on Tuesday, March 7, 2017, from 6:00 - 8:00 p.m.
Soho Photo is located at 15 White Street, New York, NY 10013 and can be reached by phone at 212-226-8571. 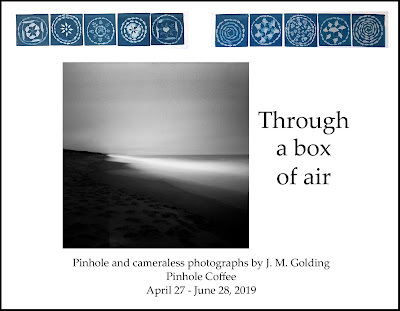 The juror for the show was Russell Joslin, editor and publisher of SHOTS Magazine, an independent, reader-supported quarterly journal of fine art photography. Thank you so much, Michael, and congratulations to you! 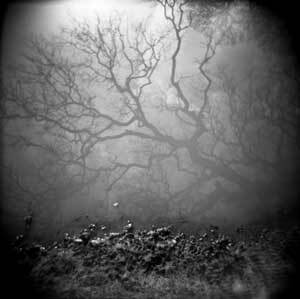 I'm delighted to have my work in the same show with that wonderful photograph of yours. Congrats Jacki! Another outstanding photo from you! Wonderful image, like stepping into another world, which is what it is. Thank you so much, George! I appreciate your seeing that. A big, belated congrats to you! That's a powerful image and even more powerful imagination. Thank you so much, Jim! Congrats again to you too!